Electrifying guitars, enchanting rhythms, raging drums and sensational singing. Get ready for Bengaluru’s biggest musical battle, Forum Rock On! – the epic Battle of Bands. 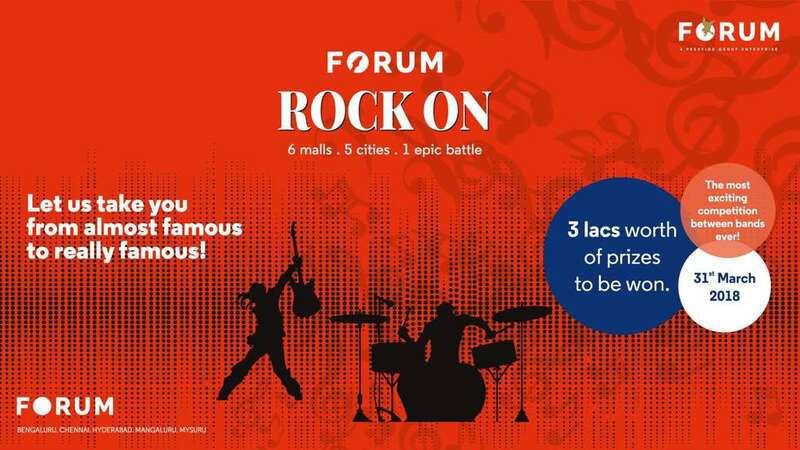 FORUM presents a musical fest – Forum Rock On! A platform that provides an opportunity for artists to showcase their talent and get a chance to win fabulous prizes.